Each year, Starbucks comes out with a special holiday cup. Last year, the company’s choice of design for their seasonal cups struck up controversy and they’re apparently not disappointing in doing the same this year – whether intentional or not. 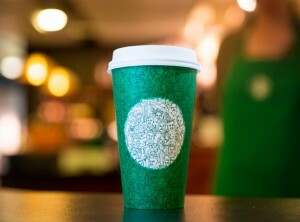 A green holiday cup (as opposed to their previously red holiday cups) has been described by Starbucks as a “unity” cup, displaying a drawing of several people of all shapes, sizes, and backgrounds. Starbucks wanted to show that, during this divided and chaotic time, we are still all humans and all one people. So why the uproar? Many customers seem to feel that the cups being green instead of red is an utter lack of respect or acknowledgment for what Christians believe to be the meaning of Christmas. Apparently, those who are causing a commotion over a cup have no thoughts that perhaps we need a little hope this holiday season and a reminder that people are just people. Or maybe they don’t remember that Starbucks does not claim to be a Christian company. If Chick-Fil-A had done something like this, I might understand the confusion…even extreme upset. Chick-Fil-A proudly advertises that they are a religious company, even closing on Sundays to recognize the importance of this day of rest and worship for Christians. 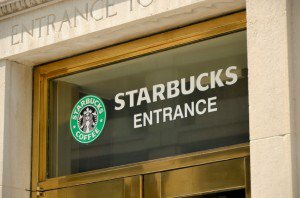 But Starbucks does not affiliate with any religion. There has also been a bit of an uproar from the other side. Those that truly don’t care about the color of the cup are making their voices heard as well: essentially, they’re all saying, “Shut up! It’s just a cup!” Twitter particularly has been taken over with #starbuckschristmas, including the annoyance of those who are tired of hearing people complain about the color green. Interestingly, there is a rumor that this is not the official holiday cup of Starbucks this year. A photo was leaked that the holiday cups are supposed to be revealed on November 10th. Guys, today is only November 7th. So what will happen on this upcoming Thursday? Maybe the company will reveal a line of spiritual-based cups – possibly based on the beliefs of several religions. Maybe they will laugh and say, “Ha! The green cups really are the official holiday cups!” Maybe they will announce that they will discontinue the holiday cup tradition altogether since people can’t seem to handle it. No matter what they decide to unveil on Thursday, it’s sure to stir up the controversy pot since that is apparently what people are most concerned about these days. Didn’t you know that the color of a cup that’s holding a $6 coffee is a vital part of society and a defining piece of the individual drinking from it?! What was Starbucks thinking when making this crucial decision about their holiday cups? Honestly, after the outrage from last year about a simple red cup – lacking anything other than their logo – you would think that they realized that this reaction was definitely a possibility. But maybe they did think about this. The 2015 Starbucks pandemonium kept the company’s name on the tongues of everyone throughout the entire holiday season. For better or worse, people were talking about Starbucks. As they say, there is no good or bad publicity – just publicity.